Sound isn’t a principle of garden design as such, more a bi-product of it, but it is something that adds ambience and mood to a garden and contributes to that feeling of unity and harmony that we so often strive for in our garden designs. There are many ways of getting sound into our gardens; the trickling of gently running water or the gushing of fast flowing waterfalls; the rustling of leaves in the trees or grasses in the borders dancing to the breeze; but one of the most uplifting sounds we can generate in our gardens is that of life itself. Birds chirping, bees and other flying insects buzzing, creatures rustling around in the undergrowth – these are the sounds of a vibrant and bio diverse garden and plants play a key role in attracting the animals and insects that add to that valuable ecosystem. We’re slap bang in the middle of garden and flower show season and if you’re anything like us you’ve been glued to the TV – if not planning or managing to visit every show in the country in person – watching Monty and co bring Malvern, Chelsea and the rest a tad closer to home. 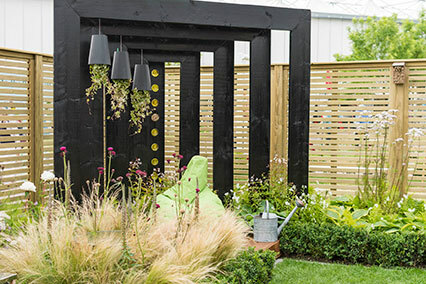 Being garden designers we love looking at show gardens; there’s always something new and exciting to see in the wide variety of plots ranging from the mouth gapingly gorgeous to the bizarrely bonkers gardens on show. We have to admit though that being garden designers for real people, we do often seem to find ourselves forever standing in front of beautiful show garden creations asking ‘where would you hang your washing’ or ‘where would we put the bins’ if that was our garden? It’s National Gardening week this week and it’s also slap bang in the middle of DIY season, so we thought we’d combine the two and showcase 7 (-ish!) 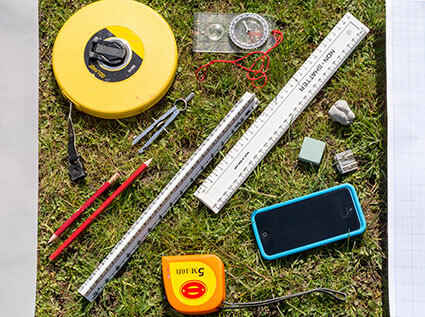 key tools you’ll need to be able to do a spot of DIY garden design. These tools are all about doing. There will be many reasons why you want a change in your garden; the things to consider and think about; resources for inspiration, and much more but we’re assuming that you’ve done all of that thinking prior to starting this DIY garden design project and now just want to get stuck in! And these tools will certainly help you on your way. Repetition is one of those key elements of garden design that helps achieve that goal of unity in a garden. 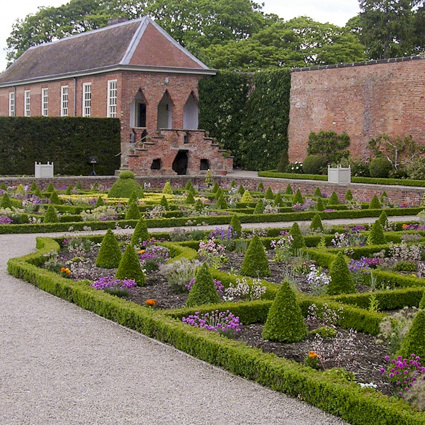 Whilst unity is the harmonisation of the whole, repetition is a part of unity, and there are many ways of using repetition in a garden design. A while back we briefly looked at using repeat planting in a way that ‘steadies’ the planting plan and helps each area relate to another by adding harmony to the borders. In that example we were repeating specific plants but this time around we wanted to widen the scope and application of repetition to include form too. In garden design, ‘form’ generally refers to the visible shape or configuration of something and often it is the plants that non-garden designers tend to think about in terms of form – tall plants, wide plants, bushy but compact plants, etc. While plants are a major tool in achieving repetition when you widen the scope to include other elements in the garden too, that is when you can really start to see the possibilities for repetition; and consequently for better unity in your garden design too. We just love the collaborative process that garden design is. Our clients are a diverse lot! 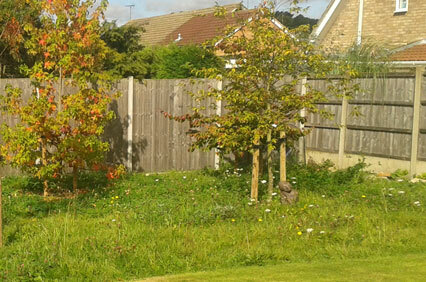 Some know exactly what they want from their garden design while others haven’t a clue. 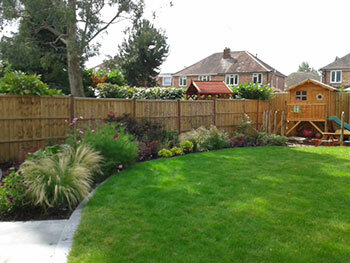 Still others might know certain elements they would like but not how they can get them into their garden space. 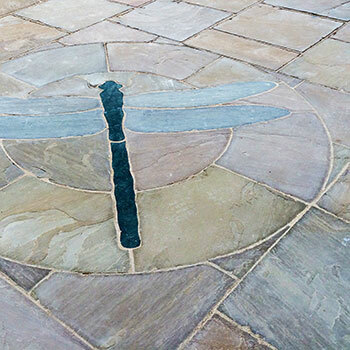 Every garden Nicki designs is different and is designed for a particular client but every design has been a collaborative process between client and garden designer. Even though a client has seen the plans and signed off on their garden design concept it’s often not until the garden has been cleared and the ground works started that they will start to really ‘see’ what’s coming and it’s at that point that the anticipation of their new garden usually really grips them. We love sharing that sense of anticipation and excitement with our clients. We know it might sound a little odd but as part of the garden design process when the build has been completed and the planting has been done Nicki will usually ‘introduce’ the garden and the plants in it to our clients. Getting to know the different elements of their garden and the plants in it; the job they do in the overall scheme and design, how to look after them, what to expect from them through the changing seasons, and more, is an introduction that often sparks or cements a burgeoning new love affair that often blossoms between our clients and their new garden design and we just love playing cupid! Relationships work on two levels for Blue Daisy – firstly, we love the relationships we have with our clients and secondly we love the relationships our clients have with the gardens we have designed for them. We hear time and again about how our garden designs have changed the relationship our clients have with their gardens and we love it. Some clients have turned into serious plant-lovers – from a position of steadfast indifference; while others have been transformed into gardeners; still others have talked about complete lifestyle changes where their new garden has become a major new hub of activity and socialising for their families; others have found a new and improved relationship with their homes – however it has affected them we just love that we have been part of those changes through our garden designs.